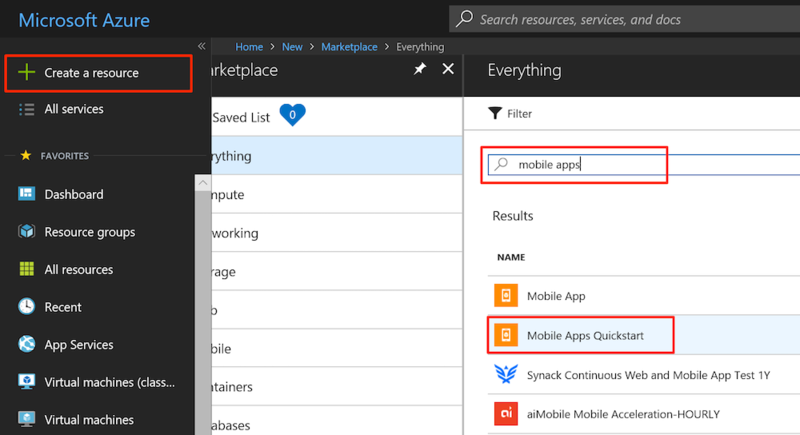 This tutorial shows you how to add a cloud-based backend service to an Android mobile app by using an Azure mobile app backend. 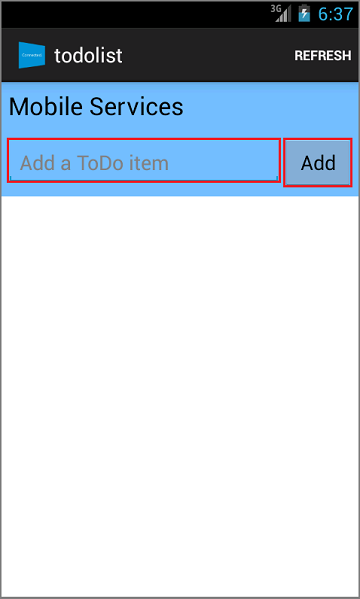 You will create both a new mobile app backend and a simple Todo list Android app that stores app data in Azure. Completing this tutorial is a prerequisite for all other Android tutorials about using the Mobile Apps feature in Azure App Service. Android Developer Tools, which includes the Android Studio integrated development environment, and the latest Android platform. Azure Mobile Android SDK, which is automatically referenced as part of the quickstart project you download. Visit the Azure Portal. Click Browse All > Mobile Apps > the backend that you just created. In the mobile app settings, click Quickstart > Android. Under Configure your client application, click Download. This downloads a complete Android project for an app pre-configured to connect to your backend. Open the project using Android Studio, using Import project (Eclipse ADT, Gradle, etc.). Make sure you make this import selection to avoid any JDK errors. Press the Run 'app' button to build the project and start the app in the Android simulator. In the app, type meaningful text, such as Complete the tutorial and then click the 'Add' button. This sends a POST request to the Azure backend you deployed earlier. The backend inserts data from the request into the TodoItem SQL table, and returns information about the newly stored items back to the mobile app. The mobile app displays this data in the list.